Habitat: Upland, Mountain. 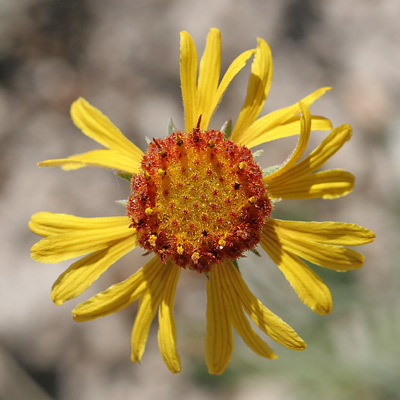 This wildflower grows in dry, sunny, grassy areas. Description: The flower heads are 1 3/4 inches (4.4 cm) wide and have a fuzzy, domed, red disk ringed by yellow, 3-lobed rays. The seed heads are fuzzy, tan-colored, and ball-shaped. 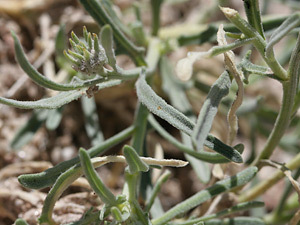 The leaves are linear, grayish green, covered in fine, whitish hairs, and variably pinnately-lobed with at least a few lobed leaves per plant.